Britain’s Aardman ranks alongside Pixar and Studio Ghibli as one of this generation’s greatest animation studios, from early shorts like “Creature Comforts” to the ongoing adventures of Shaun the Sheep and Wallace & Gromit to such beloved features as “Chicken Run” and “Arthur Christmas.” So it’s more than a little disappointing that Aardman’s latest, “Early Man,” is so crushingly mediocre. Dug (voiced by Eddie Redmayne) is a member of a tribe that subsists on rabbit; it’s a bit of a miracle that they have managed to survive since, despite their smooth teamwork as hunters, they would appear to be fairly inept. (To say nothing of the fact that one little bunny is expected to feed a dozen or so people.) Despite the tribal chief (Timothy Spall) poo-poohing Dug’s dreams of hunting mammoths, mammoths come to them as the beasts of burden of Lord Nooth (Tom Hiddleston), a higher-up in a nearby kingdom that has fully embraced bronze mining and production. Dug and his friends are kicked out of the valley by Lord Nooth’s mining interests, and Dug realizes the only way to get his home back is to challenge Lord Nooth’s champion football team to a match. The cavemen are hopeless at first, but Goona (Maisie Williams) — who dreams of being the first female footballer — whips the knuckle-dragging team into shape. But can Dug still lead the squad after he realizes that his tribe’s ancestors not only invented football but were also terrible at it? Will Lord Nooth’s cheating keep these underdogs from winning the day? 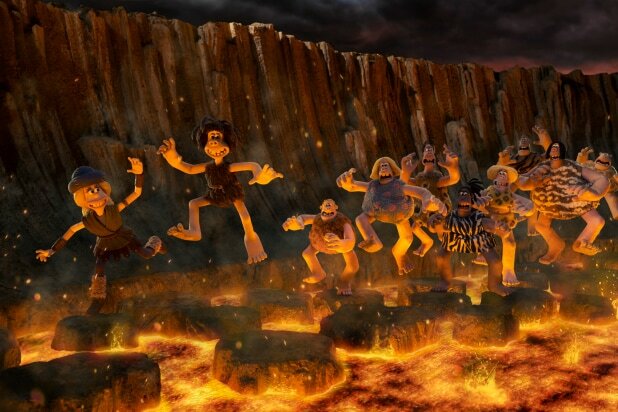 Had “Early Man” chosen to satirize sports-movie tropes rather than merely indulge in them, the results might have been more fun. There’s so much familiarity to the proceedings that by the time we get to the requisite kid-movie messaging (you are not a slave to destiny, teamwork is good), it’s all the more apparent that there aren’t enough solid jokes or interesting characters or careful plotting to distract us from the inevitable. The titular early men (and women) are mostly interchangeable, and even our protagonist Dug never really changes or learns all that much over the course of the film. Over in the more civilized area, Lord Nooth isn’t a particularly interesting villain; he’s merely greedy and somewhat effete. Even the preening divas on his football team are fairly flat star-athlete archetypes. It’s immediately apparent that the trademark Aardman humor is in short supply, since the first five minutes feels like leftover shtick from “The Flintstones” (baby crocodile clothespins) and Douglas Adams (the opening cards tell us we’re in “The Neo-Pleistocene Era” (beat) “near Manchester” (beat) “around lunchtime”). The visuals and the character designs are unspectacular — those piggy noses on most of Dug’s tribe are distractingly awful — as is the high-profile voice cast. There’s a mild chuckle every so often in “Early Man” — “You’ve barely touched your primordial soup!” — but overall the movie collapses in a heap of familiarity and lackadaisicalness. 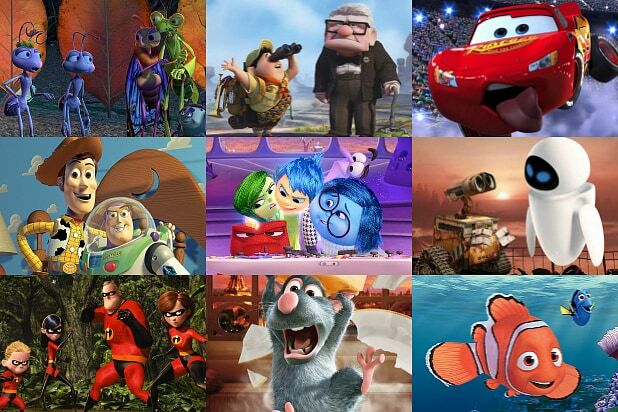 Park is an animation legend, but even the greats occasionally whiff it.